Cris Cyborg, women’s featherweight champ made her statement of being called one of the best female fighters in the history of UFC when she beat former bantamweight champ Holly Holm to retain the Championship at UFC 219 last year. Cris Cyborg doesn’t shy away from giving her opinions about other fighters, as she believes that Ronda Rousey and Conor McGregor are the most overhyped fighters in the UFC. ”I think you see already Ronda Rousey,” Cyborg said (transcript courtesy of MMA Mania). “Everyone think she is the best fight ever, ever pound for pound, and then you see when she fight real fighters, she has a hard time. Moreover, Cyborg doesn’t like the UFC make their promotion the Ronda Rousey show and the Conor Mcgregor show, instead of spreading the hype across the entire roster. ”I don’t like it when you put everything in the sport on just two persons,” she said. “Because when they lose, then people get no interesting. Current champ Cyborg makes a good point on Conor McGregor, as he has never defended any belt which he has gained in UFC, but the same can’t be said about Ronda Rousey. Currently, Cyborg takes growing the sport seriously, as she continues to push UFC to match her up against a worthy 145-pound contender rather than more 135-pound challengers as she’s met in all her previous UFC matches. Recently, Dana White opens up the idea of fixing a matchup with Amanda Nunes another 135 pound, which Cyborg didn’t like in fact, but said it might happen only if UFC put on a mega show. 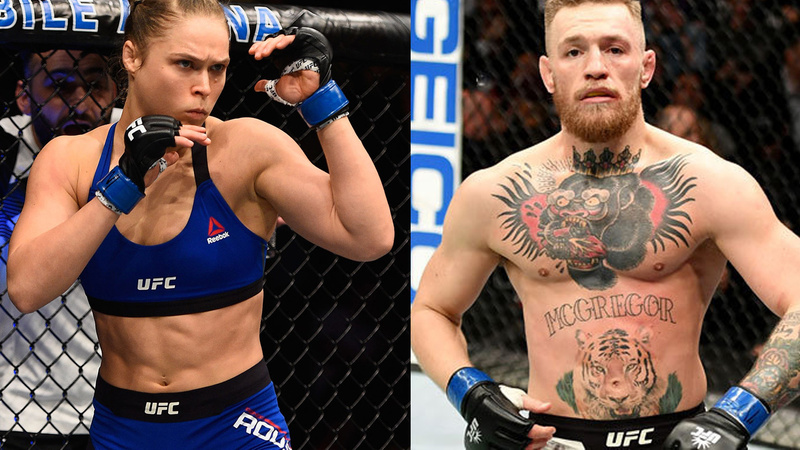 Do you guys agree with Cris Cyborg’s recent criticism on Rousey and Mcgregor?